Before you see your dream home, it is important to understand how much can you afford. Contact us and we can quickly arrange a pre-approval through our panel of over 40 different lenders. 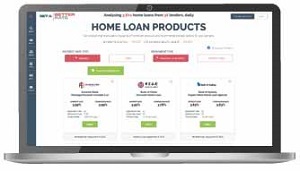 Also have a look at our home loan repayment calculator to see what you can afford. Research where you want to live. What is the average property price? What services, parks and transport are available? There are also lots of free suburb reports available which can help you. Meet with a local realestate agent. Let them know what you are looking for and get on their list to find out about new properties first. Once you find your dream home, make sure you complete a thorough inspection. It is recommended getting building and pest inspections completed by a professional. How much do I need for a deposit for a home loan? When purchasing an owner occupied property lenders will require you have a minimum 5% deposit; for investment properties the despoit most lenders will require is 10% of the property price. Lenders Mortgage Insurance ('LMI') is an insurance policy which protects the bank against any loss in the event of default by the borrower. Although the insurance policy doesn't protect the borrower, banks will usually pass the cost of the insurance policy on to the borrower. How much is a mortgage insurance? Lenders Mortgage Insurance ('LMI') will vary depending on your loan amount and the property value. Use our LMI quote calculator to give your idea what it could cost you. How can I avoid paying mortgage insurance? You can avoid the LMI premium by having a 20% deposit and not borrowing more than 80% of your properties value. For first home buyers, using a family guarantee will allow you to avoid mortgage insurance.